The School of Theatre at Florida State presents The Monster Under the Bed as its annual and very popular offering of Theatre for Young Audiences, Nov. 15-18 in the Fallon Theatre, on the corner of Call and Copeland streets. The Monster Under the Bed, written by Kevin Dyer and directed by performance faculty George McConnell, is the story of Ben who has a big problem. His Mum is grumpy, and his best friend Vince stole his binoculars, a prize possession given to him by his Dad just before he left for military duty. Oh, and there is a monster under the bed. When Ben swaps places with the monster, his world gets turned upside down. “This is a poignant, yet fun-filled, story that examines the power of a child’s imagination in order to cope with loss, fear and the monsters that are capable of living inside all of us,” said marketing director Susan Thomas. 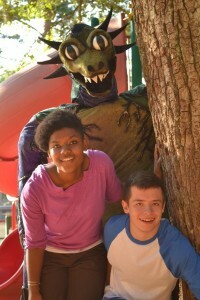 The School of Theatre’s production of The Monster Under the Bed will be performed for approximately 1,500 students in rising K-5th grades as part of the Plays on School Days series. 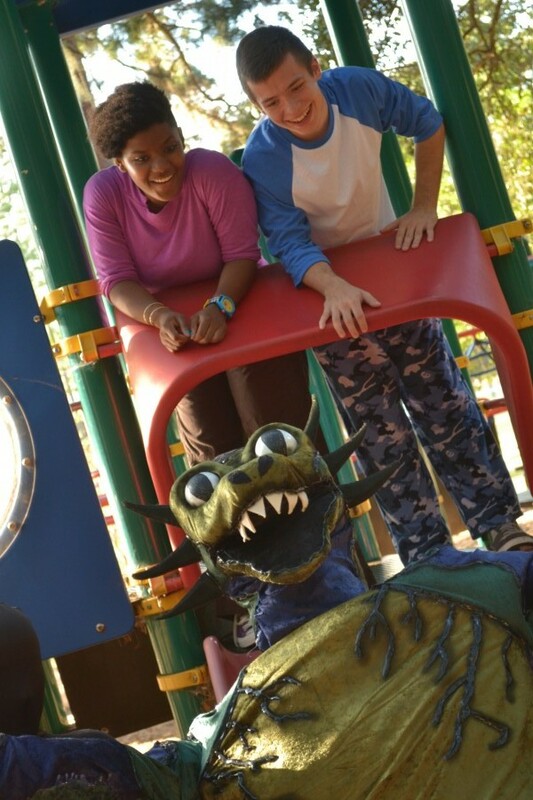 The program is supported in part by the City of Tallahassee, Leon County, and the Council on Culture & Arts to provide participating Leon County Schools students with play guides and arts integrated workshops that meet Sunshine State Standards. These same activites will be available for families who come to regularly scheduled evening and matinee performances. In addition, guests are invited to an ice cream party in the lobby after the show. “I think there are valuable lessons to be learned through this play about bravery, comunication, the importance of friendship and the power of imagination. Lessons that are important no matter your age,” remarked Thomas. To purchase tickets online visit http://tickets.fsu.edu, you can also visit the Ticket Office located in the Fine Arts Building, or to place orders on the phone call the office: (850) 644-6500 during their business hours (Tuesday-Saturday) between the hours of 11am-4pm.